Heat treating is the process of heating and cooling metal under specific parameters to alter its mechanical properties. Heat treating can be used to harden a material and improve its strength or alternatively soften a material to make it more malleable and ductile. There are four main processes used to heat treat materials: annealing, normalizing, hardening and tempering. Quenching is used when materials need to be brought down to room temperature rapidly. Some materials are exposed to multiple heating treating processed to produce the required mechanical properties, i.e. Docol is a quenched and tempered product. All of the different processes of heat treating follow the three stages: First, the material is heated uniformly, then the material is held at specific temperature for a given time, and finally the material is cooled to room temperature. Normalizing also relieves internal stresses that may be caused from heat treating, welding, casting, forging, forming or machining. The stress caused by these processes may cause material failure if it is not normalized after they are performed. Normalizing only applies to ferrous metals. Normalizing differs from annealing because the material is removed from the furnace to “air cool.” Normalized materials have a higher strength then annealed materials. Hardening is used to harden the material as the name implies, and it is used to strengthen the material. 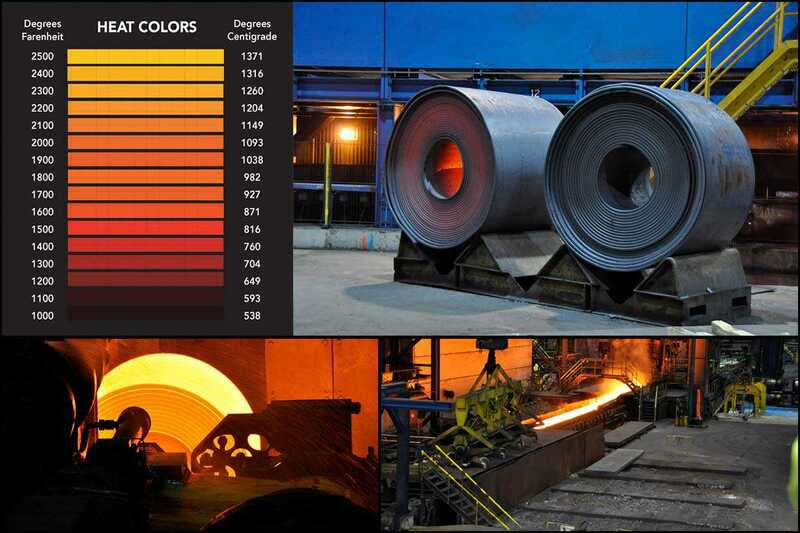 The process of hardening a material is to uniformly heat the material, then hold it a specific temperature for a period of time and then rapidly cool the material. Tempering is usually performed after a hardening process because the material can become too brittle. The rapid cooling process can cause severe internal stresses. The process involves heating the material to a specific temperature (below its hardening temperature), then holding it at a specific temperature and then allowing it to cool to room temperature. Quenching is used to rapidly reduce the temperature of a material to room temperature after a heat-treatment process. It is used to prevent the cooling process from dramatically changing the metal's microstructure. Oil or water are common media used to bring material temperature down, but certain applications may use forced air or inert gases, such as nitrogen. The medium is based on material selection and desired cool rates that produce specific mechanical properties.